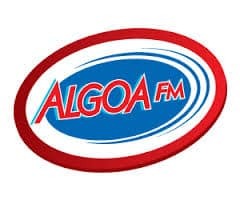 Algoa FM South Africa Radio Live Streaming Online. Listen Over 100 South African Radio channels live online . Enjoy Live Stream of South African Music News 24 by 7. It broadcasts from the Garden Route to the Wild Coast.It focus towards adults who enjoy good music, good living and indulge in quality life experiences.In addition to music it brings global, national and local news and gossip, sport, local traffic and weather reports. It started broadcasting in the Eastern Cape since 1 January 1986 and in the Garden Route since December 2011, including Knysna, George and Mossel Bay.It is predominantly a music station, but includes many talk show features. Hemingways Hotel & Cnr. Westerns & Two Rivers Drive , Vincent 5201.